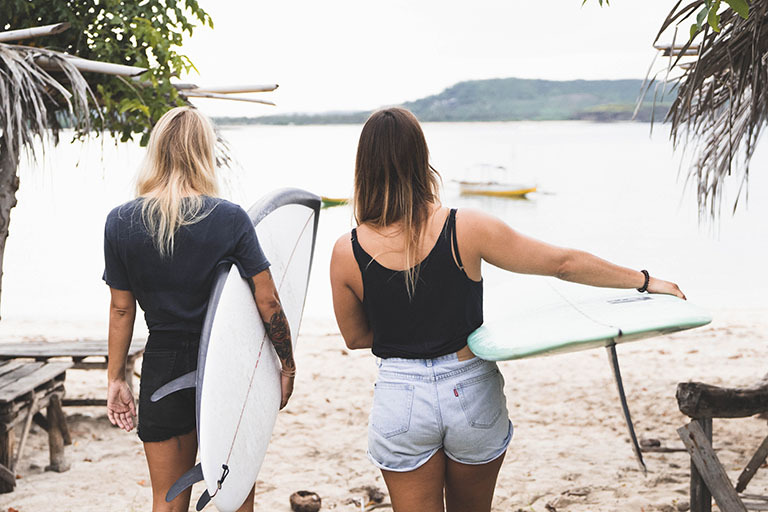 Nalua is a small idyllic surf escape located in the heart of Kuta Lombok. Here you will meet like minded people who all share the passion for the ocean and riding waves together. We welcome you to stay with us in our comfy and private rooms or to join one of our surf camp packages. Have you never surfed before or just had a few lessons? Then this package is for you. You will learn all about the basics in surfing to give you the best start and a fast improvement. Enjoy your breakfast with a view over the palm trees at our peaceful rooftop terrace or relax after a full day of surf and adventures. You will get a private room with a queen size quality bed and en suite bathroom with hot water. You have the choice between two room categories - either Air Conditioned or with Fan.